Chat is cancelled tonight in observance of the Memorial Day holiday in the US. A sincere THANK YOU to all the men and women who have fought so valiantly for the United States of America. Every one of you is remembered in our hearts. How cool is this??? You can win lunch with Herself! Thanks to Julie for the heads up! And I should elaborate and mention that the auction is being run (again!) by Brenda Novak to raise money for Diabetes research. 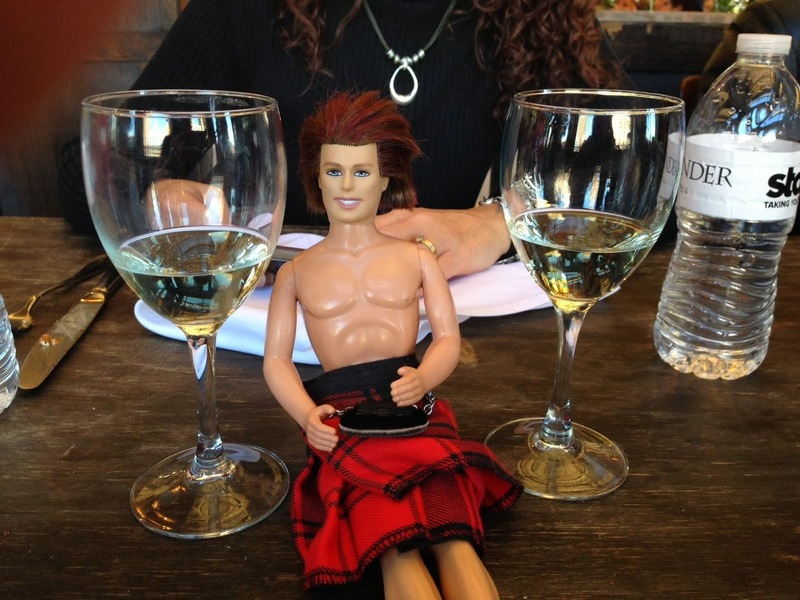 My sincere thanks to Karen over at Outlandish Observations for mentioning Tracey and me! 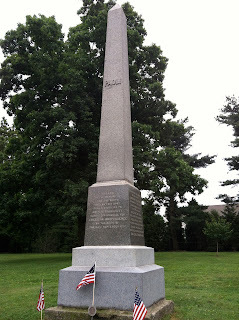 Today's Friday Fun Fact gives information on the Paoli (pay-OH-lee) Massacre. Tracey and I grew up in Paoli, Pennsylvania where it took place. Actually, it took place up the hill in what is today "Malvern, Pennsylvania". Interestingly enough, M. Night Shyamalan lives in Malvern...and I can't help thinking what a neat film he could make, using the story of the Paoli Massacre and a haunted 18th century stone house. (You will come across many of these in that area of the world. Frankly, I miss them greatly since moving to New Jersey.) Or the General Warren Inn which still stands today and is fully operational. 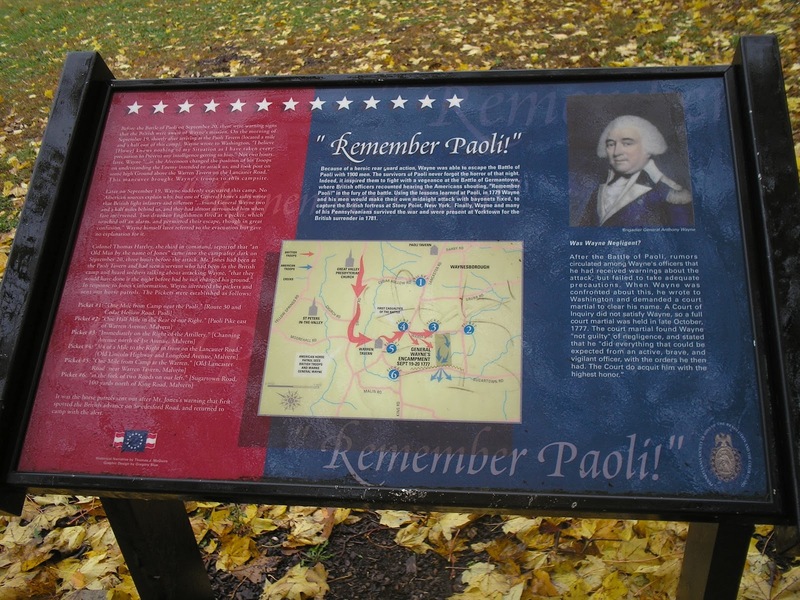 The Paoli massacre - to nutshell it for you - happened when George Washington left General Anthony Wayne (another history celeb in the Paoli area) in charge - and his troops were ambushed in the middle of the night by troops led by Major General Charles Grey. Heard that name before, have ye? Weeeeel, I thought ye might have. It's because he was a distant relative of one Lord John Grey (or at least in Historical Fictionville created by Diana Gabaldon he was). Charles Grey led his troops to the camp at Paoli in the middle of the night, so as to surprise the men while they slept. 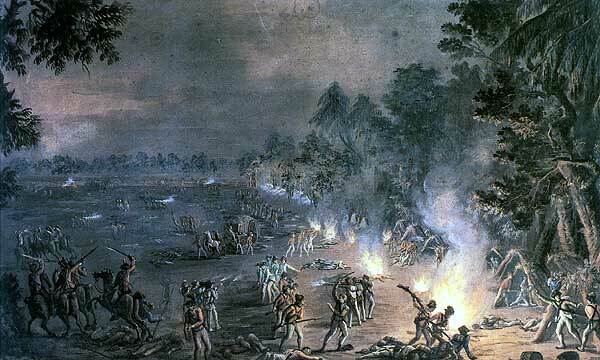 It was a bloody battle and the British used bayonets to kill the American soldiers (even after some had surrendered). This was thought of as a barbaric act, even then. 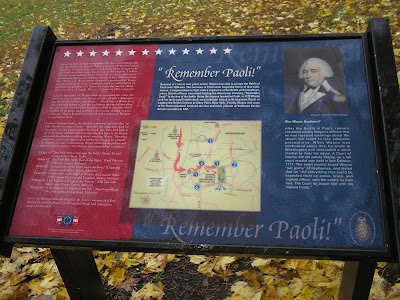 Up through the early 1800s, the phrase "Remember Paoli!" was used as a battle cry to remind the troops just how ruthless the British military could be. Take a look at this alphabetical list of the known casualties of the Paoli Massacre and give them a moment of silence in your heart on this Memorial Day weekend. If you are on Facebook - I would LOVE IT if you would come and "like" our new Facebook page at Aloupis Productions!! 11/5/14 UPDATE: The title, "Truck Stop" has now been changed to "Safelight!" Stop by and say Hi! 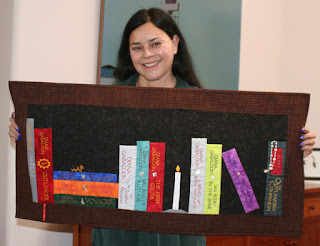 The Outlander Quilt auction has ended on eBay. 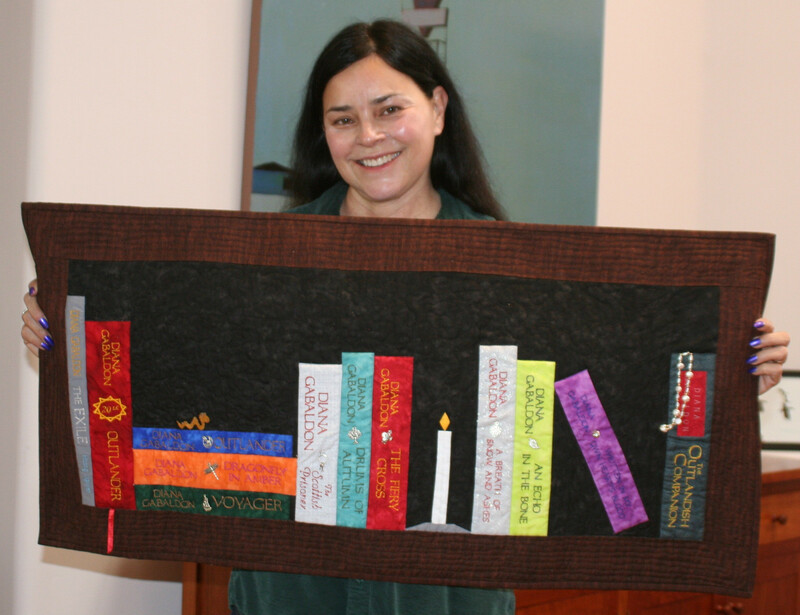 Sooz's stunning quilt was auctioned off for $446 which goes to Friends of Bianca Pet Rescue. "With a glance down at the stream, he stepped back into the shade of a big horse chestnut tree. He put his hands about my waist and drew me into the shadow after him. "Ye werna the first lass I kissed," he said softly. "But I swear you'll be the last.". 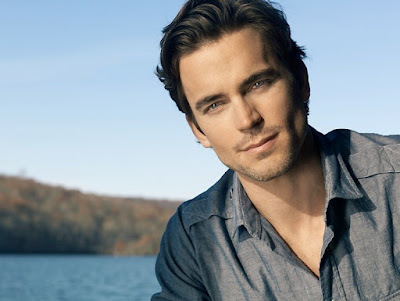 And he bent his head to my upturned face. Free shipping til May 8th in the MOP shop, y'all. Get your MOP designed shirts, pay homage to Herself, Diana Gabaldon and wear your Outlander proudly! Just a wee post to say HAPPY BIRTHDAY to James Alexander Malcolm Mackenzie Fraser! Let's watch a blast from the past in celebration, shall we?